Roberto Clemente played 18 terrific seasons for the Pittsburgh Pirates from 1955 to 1972. He was an integral part of two separate World Series Championship teams in 1960 and 1971. Clemente was a 15-time All-Star selection, won a dozen Gold Glove Awards, was awarded the 1966 NL MVP, and was named the 1971 World Series MVP. The strong-armed right fielder batted .317 over his career with a .475 slugging percentage. As good as he was on the field, Clemente was even better off it. He donated countless funds and personal time to help others less fortunate than himself. On the last day of the 1972 season, Clemente smacked a double to register his 3,000th major league hit. Regrettably, it would be his last. On New Year's Eve, while on a mission to help earthquake victims in Nicaragua, Clemente's plane crashed into the ocean— killing all aboard. Just months later, the Baseball Writers of America held a special election to induct him into the Baseball Hall of Fame. 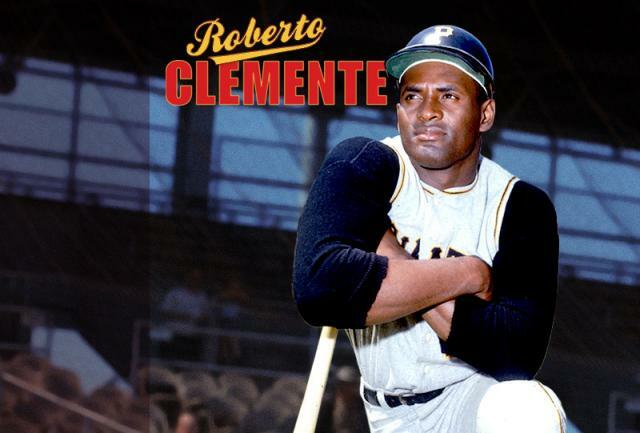 In recognition of Clemente's humanitarian efforts and death while serving others, Major League Baseball now annually presents an award bearing his name to a player who exhibits similar outstanding service.